Anyone interested in Chicago history should get a copy of Streetwise Chicago. This 1988 book by Don Haymer and Tom McNamee lists the origins of thousands of the city’s street names. They gathered their information mainly from files at City Hall or the Chicago Historical Society. There are a few gaps. Woodward Drive, a little roadway in Garfield Park, is dismissed with “source unknown.” Obviously the Park District didn’t keep very good records. I have no way of proving it, but that roadway was probably named for Augustus Brevoort Woodward. Woodward was quite a character. For one thing, when he was born in 1774, his given name was actually Elias. He later changed it to Augustus, after the first Roman emperor. That fact alone tells you something about the man’s opinion of himself. He came from a prominent New York City merchant family. After graduating from Columbia Woodward got a job in the Treasury Department, and eventually became a lawyer. Along the way he became friends with Thomas Jefferson. In 1805 President Jefferson appointed Woodward one of the judges of the Michigan Territory. He arrived in Detroit just after the little settlement had burned down. He immediately went to work rebuilding it. He was greatly interested in science and education, and in his spare time developed a prospectus for a school he called the Catholepistemiad. Again, only some of Woodward’s ideas were adopted. His school later became the University of Michigan. The Judge did draw up most of the territorial laws of Michigan, known as the Woodward Code. Still, he had to be the top dog in whatever he did. He quarreled constantly with his fellow judges and the governor. They finally succeeded in getting rid of him. 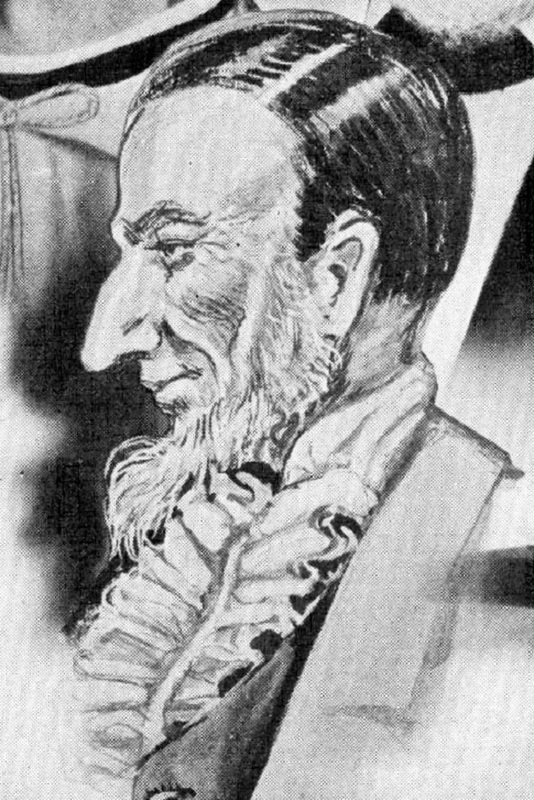 In 1824 Woodward was shipped off to Florida as the territorial judge for the new territory. He died there three years later. A bachelor with no family to mourn him, his grave has been lost. As far as anyone knows, Augustus Brevoort Woodward never visited Chicago. But isn’t he the sort of person who deserves a street in our city?